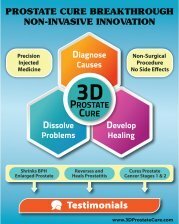 Do you want to know how to prevent prostate cancer? You may not like what I say but cancer does not just happen out of the blue. It results from the choices we make over a lifetime. Our diets in the broadest sense of the word to include all our inputs drives out health. What you eat, how you sleep, what you put on your body and skin, what you are exposed to and more create your health or your disease. You are the cause. Knowing that and you are well on your way to understand how to prevent prostate cancer. Prostate cancer has causes and I suggest you read them here. The point of understanding them is to now know what to do. Some men will have a head start by lifestyle habits forged over years and will have fewer changes to make to prevent prostate cancer. Other men will have a lot to learn and then can make the decision about what to do. Some men who understand their role in what happens to them will take insights and apply them. In fact I have written a whole book on how to prevent prostate cancer. It goes into far more detail then on this site. 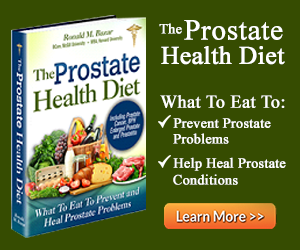 It explains in great detail all the causes and what to do and eat to prevent prostate cancer. 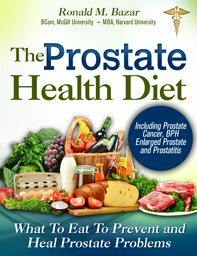 ...Why does a book on a prostate cancer prevention diet make sense? Talk about life changing effects! Sadly, 70% of men report some of these side effects more than a year or two after their treatments. 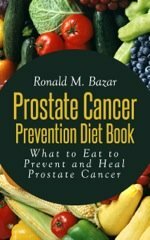 The Prostate Cancer Prevention Diet Book is simpler and shorter; it focuses on diet to help you prevent prostate cancer in the first place or, if you have cancer, to help heal your condition so you don’t have to deal with the side effects of treatment. In case you do have prostate cancer, you may have been advised to practice “watchful waiting,” which doctors may prescribe in some cases of prostate cancer. If so, this book will be invaluable to you. Why? To the doctors, “watchful waiting” means doing nothing major and checking over time to see if the cancer worsens. If you are going to watch and wait, why not try to improve the situation? Your prostate health is in your hands, not your doctor’s! Sadly, though, most men will follow the passive approach advised by their MD or urologist when it comes to their prostate. They never fully understand how they got their prostate condition, nor how to reverse it naturally. My recommendation would be to change the conditions that caused the prostate cancer in the first place. Making changes to your diet now makes the most sense. 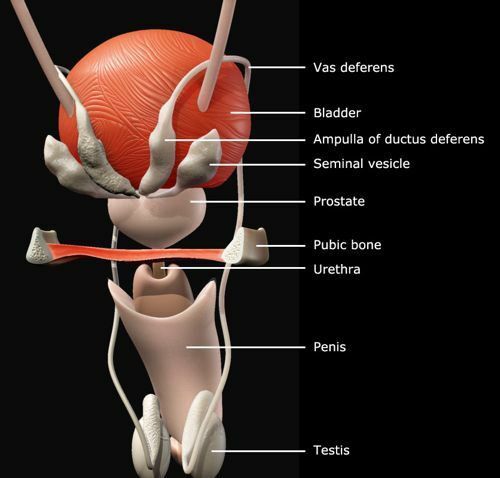 Prostate cancer is no mystery if you understand its causes. Then you are able to change the conditions that caused it rather than attack the symptoms aggressively, which is the approach your doctor will take in most cases with any sign of the cancer worsening. Only the best urologists will advise watchful waiting. Did you know that your life expectancy is no greater as a result of most prostate cancer treatments than if you did nothing? Most men with prostate cancer die of something else. Hard to believe, but the stats prove that in almost all cases doing nothing is no riskier than getting sliced, diced, burned, poisoned and radiated, which comes with all their side effects! Well, if you do choose to do something—which is what I advocate in this book—then prostate cancer is not a death sentence nor a life of miserable life- changing side effects. The foundation and the key to success in prevention and or healing is your diet. But be wary of over-simplified diet recommendations, prostate supplements and all the miracle cures being heavily promoted in the alternative sites, doctor email marketing campaigns and prostate websites. My experience is that most are hyped and do not work. 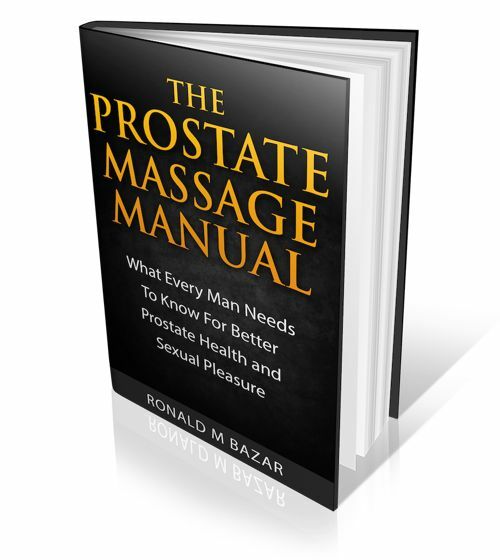 Read more in my book and you will know how to prevent prostate cancer.